A man checks his photos on his camera in front of a group of Senior hikers, during a walk in the trails behind Cosprons, via the Perdigue pass, and the Del Mitg pass. Port-Vendres, France. June 8, 2018. 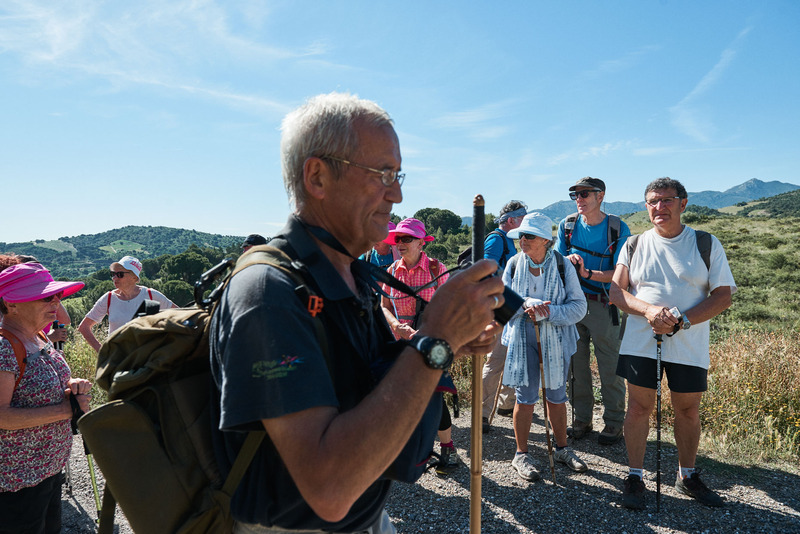 Un homme regarde des photos sur son appareil devant un groupe de randonneurs senior pendant une marche sur les chemins derriere Cosprons, via le col de Perdigue, and le col Del Mitg. Port-Vendres, France. 8 juin 2018.